A few weeks ago, I got an email from Kyle Mallory at Little Green Pickle, a media relations firm in Portland for several AWESOME restaurants around town. 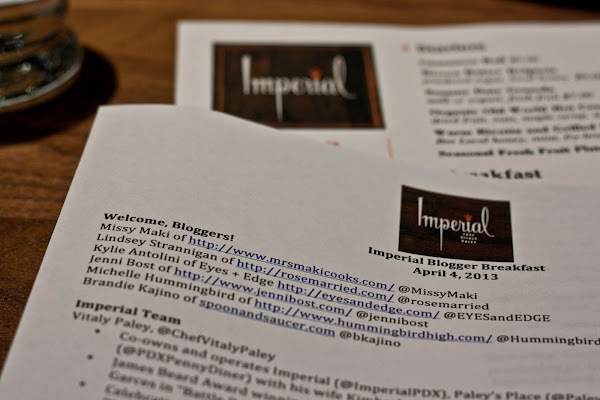 The email was an invitation for a Portland bloggers' brunch at Imperial, one of famed chef Vitaly Paley's latest restaurants. Would I be interested? Uh, chyeah! 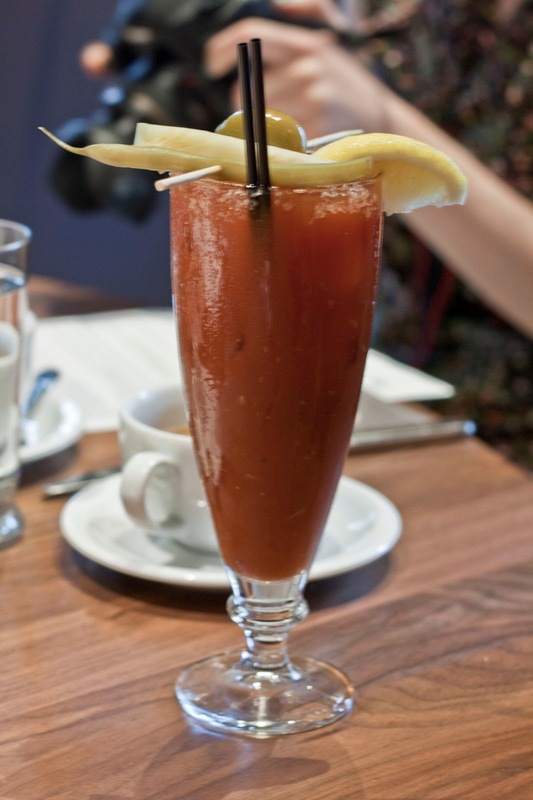 Brunch at the restaurant of one of Portland's most famous chefs? How could I say no? I almost instantly replied "HELLYEAOFCOURSE" (yep, in caps lock too) before realizing that the brunch was on a Thursday. I had momentarily forgotten that, duh, I had a full time job and probably should check in with my manager and team before abandoning them for a decadent brunch in the middle of the first week of the quarter. Luckily, I remembered I had a "free pass" at work. If you follow me on Instagram, you'll know that I was up in Seattle for a conference a few weeks ago. And despite the images of donuts and fried chicken, it was actually quite a few days of hard work — Saturday included. My boss was awesome enough to give those of us who attended the conference a "free pass"; that is, a random day off to "find our Saturday back". Admittedly, I was waiting to cash this day-off. While exhausted and driving home from Seattle, I'd had the vague, wistful notion to use my pass for a three-day weekend and take a trip to the coast with my boyfriend Erlend. But with this email, I quickly threw those plans out the window. Screw that! 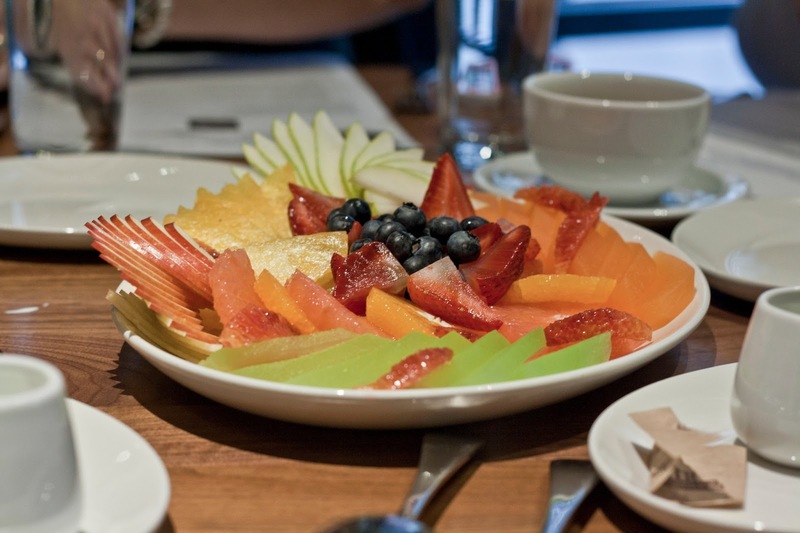 I want my brunch at Vitaly Paley's new place, and I want it NOW. If you read the above and deemed me heartless for quickly abandoning a romantic trip to the coast with my boyfriend in favor of, uh, brunch — let me explain myself. Vitaly Paley is a BIG deal: James Beard winner for Best Chef in the Northwest in 2005, as well as an Iron Chef America challenger and WINNER. His restaurant, Paley's Place, was making exceptional and nationally renowned food long before places like Pok Pok came around and stole the limelight. I've heard pretentious foodie friends of mine even argue that Vitaly Paley was THE guy who brought the food revolution to Portland — Andy Ricker, Gabriel Rucker, and everybody else was just on Paley's tailwind. But here's a confession — despite all the years I've lived in Portland, I've never once been to any of Vitaly Paley's establishments. Shame on me, I'm a terrible Portlander, I know. Because of this, I was almost nervous about the brunch. What if the food didn't live up to the hype? What if everything I told you above was just fluffy pomp and circumstance? 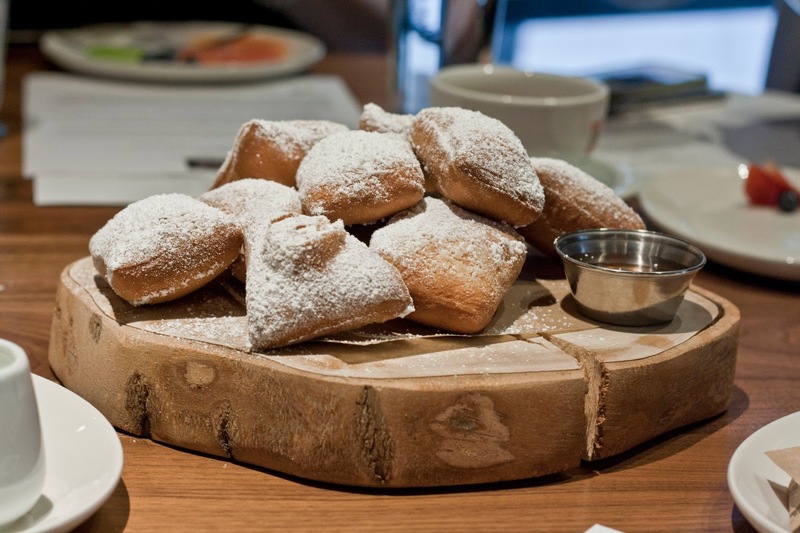 The meal started out with some fruit and brown butter beignets (see above) served with honey from Montavilla, a local Portland neighborhood. Folks, what you see above is honestly one of the best breakfasts I've ever had in my life. 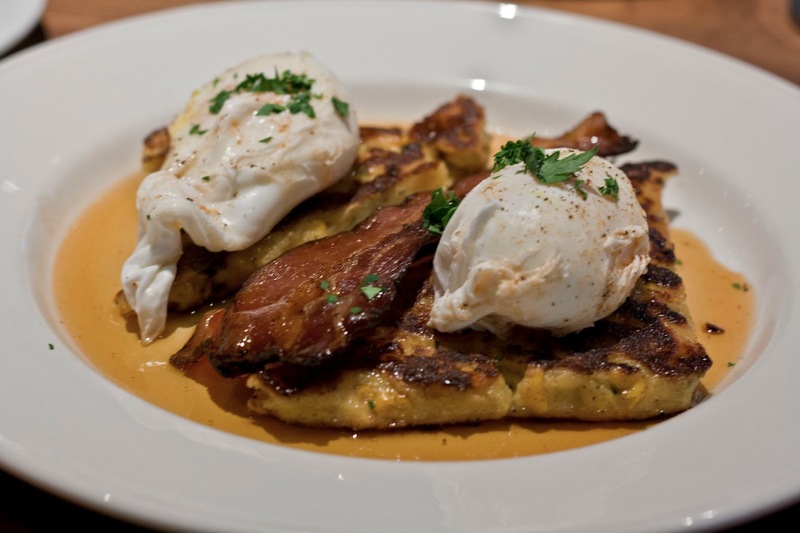 What you see above is a semolina corn cake topped with perfectly poached eggs, house-smoked bacon, maple syrup and barrel-aged hot sauce. When I saw the item on the menu, I was initially skeptical. The description sounded like a bunch of flavors that really didn't seem like they belonged together. But oh boy, was I glad that I gave it a shot. You could really tell that this was a well thought-out dish because all the flavors and textures just balanced each other out incredibly well, resulting in one of the best breakfasts I've eaten in some time — if not, my life. Seriously that good. Seriously. All the dishes I listed above were, well, awesome. Honestly one of the best breakfasts I've had in a long time. Not exaggerating. I would have gladly cleaned out all the plates set in front of me if I wasn't sharing with a bunch of other food bloggers who were probably thinking the same thing. Despite all the amazing food, I'd still say my favorite part of the brunch was when Chef Vitaly Paley himself came out of the kitchen to say hello and give us a little bit of background on Imperial's menu and the restaurant in general. According to Chef Vitaly, whereas Paley's Place is more of a personal approach to Pacific Northwest food, Imperial is a more "historical" approach. That is, he deliberately designed a menu and chose foods to reflect the Pacific Northwest's culinary history. Indeed, you might've noticed that in some of the flavors and foods I've listed above — for instance, semolina corn and fry-bread — aren't exactly breakfast items you see everywhere. These are menu items that pay homage to the Northwest's Native American roots. Pretty cool, right? Now go check it out! I know I'll be going back soon. For more pictures of the event, follow me on Instagram! I hate to say this, but sometimes it's too much of a bother fiddling with camera settings on my DSLR. I took way more photos with my phone. Plus, I recently opened up my Instagram to the public so that's kind of a big deal. Check out Imperial's website for their breakfast menu. They also do weekend brunch, lunch and dinner. 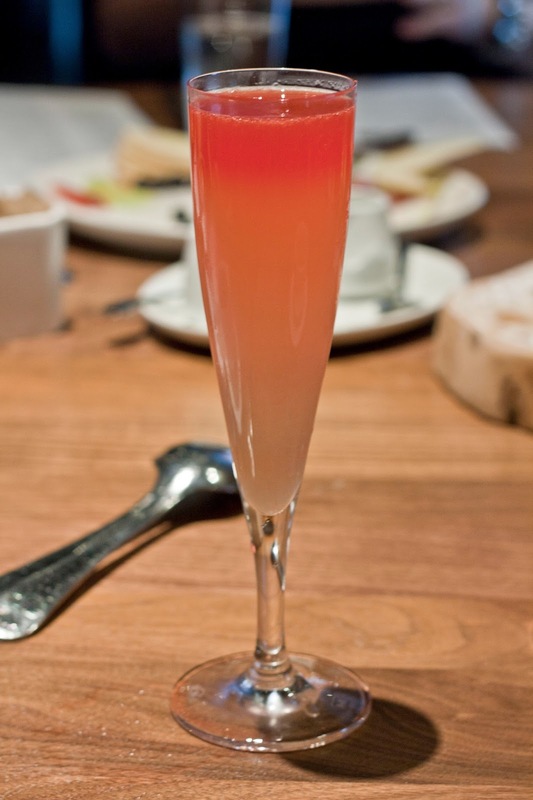 To read up more on Chef Vitaly Paley's other restaurants in Portland, go check out his website. Here's his twitter account for your social media stalking purposes. Little Green Pickle is the media relations firm that organized this blogger brunch. Special thanks to Carrie, Frances, and Kyle for putting this together and inviting me! Shout-out to the other Portland bloggers who attended the event. Hope to see you ladies again some time soon! Michelle Hummingbird? Is this your new alias? Lazy PR firm! Tracy! Would you be nice? I got a free brunch, that's all I need. Plus, Hummingbird is a way more awesome last name than Lopez anyway. Plus, if that were the case, then my blog name would make more sense than it does now. We certainly felt loved and most definitely treated like royalty at this place. The guests could not stop talking about the space, the bar, the beautiful rooftop and views.